Dr. Crystal Marie Fleming is Associate Professor of Sociology and Africana Studies and Associate Faculty in the Department of Women's, Gender & Sexuality Studies at SUNY Stony Brook. 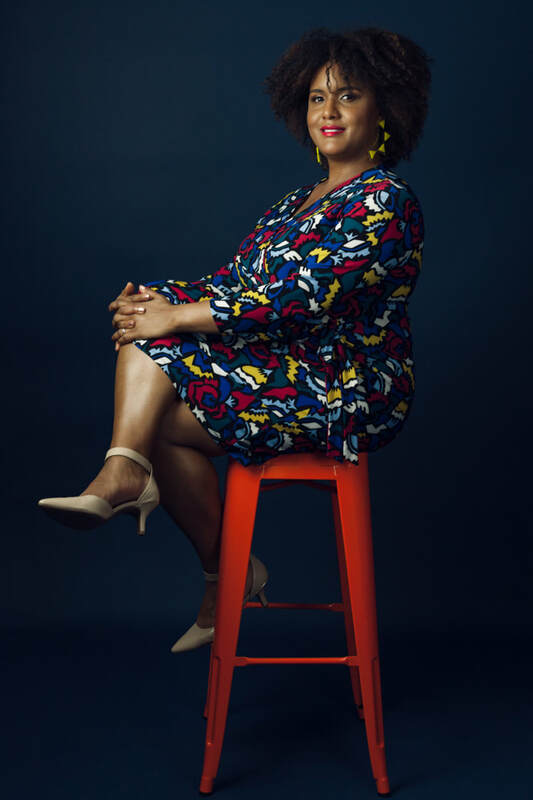 She is an author, cultural critic and educator committed to empowering people with the conceptual tools needed to understand, confront and challenge white supremacy and intersectional oppression. Dr. Fleming has conducted research on racism and anti-racism in multiple national contexts and collaborated on empirical projects in the United States, France, Brazil and Israel. She holds a Ph.D. and a masters degree in Sociology from Harvard University and graduated with honors in Sociology and French from Wellesley College. Her scholarship appears in journals such as The Sociology of Race and Ethnicity,Ethnic and Racial Studies, Poetics, Du Bois Review: Social Science Research on Race and Mindfulness. Her new book, How to Be Less Stupid About Race: On Racism, White Supremacy and the Racial Divide, combines memoir, critical race theory, social commentary and satire to debunk common misconceptions about racism. The book was published by Beacon Press in September 2018 and is available at Barnes and Noble, Amazon, Indiebound and wherever books are sold. Her first book Resurrecting Slavery: Racial Legacies and White Supremacy in France (Temple University Press, 2017) uses critical race theory to significantly advance scholarship on racism in France and Europe. Building on her award-winning dissertation, the book marshals ethnographic data, archival research and in-depth interviews with French activists and descendants of slaves to examine how commemorations of enslavement and abolition both challenge and reproduce the racial order. A public intellectual known for her frank talk and insouciant humor, Dr. Fleming has been featured in a range of media, including Newsweek, ESPN/The Undefeated, The Boston Globe, ABC, PBS and C-SPAN's Washington Journal and Book TV among others. Her provocative writing and speaking engage a broad range of scholarly and personal topics, from racism and white supremacy to politics, spirituality, feminism, (bi)sexuality and philosophy. Her essays and op-eds can be found in popular venues like Vox, The Root, Everyday Feminism, Black Agenda Report, Black Perspectives and Huffington Post. Her commentary on racism and politics is frequently cited in outlets such as The Nation, Hip Hop Wired, The New Republic, Washington Post, Al Jazeera, Blavity, USA Today, BET and Buzzfeed. She is represented by literary agent Michael Bourret. Dr. Fleming is a powerful speaker and workshop facilitator as well as a bold and influential voice on Twitter with over 40,000 followers and millions of readers.